Nothing says more about you than your smile. It is said that your eyes are the “windows” to your soul and your smile is the “mirror” of your personality. Now you can make sure that mirror holds a beautiful reflection with porcelain veneers. It should be the kind of smile that people will remember. 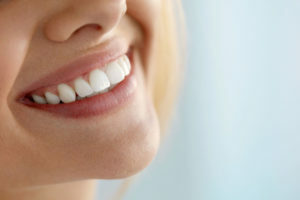 The key to the transformation may be porcelain laminate veneers – an artistic, high-technology breakthrough that can dramatically improve the look of your natural teeth. Within two visits your porcelain veneers are custom to the desired color, shape, and translucency. At the first visit, there is minimal tooth reduction of the selected teeth to be treated, impressions are made, and attractive temporary veneers are fabricated to prevent any interim cosmetic problems and to minimize post treatment discomfort. At the second visit, the temporary veneers are removed, and the porcelain veneers are bonded to the teeth with a specialized type of resin cement. Although the veneers are thin, after bonding they become highly resistant to wear and staining. Most importantly, porcelain laminates can transform your smile into one that has a lasting impact upon everyone you meet. Dr. Gardner will work with you to evaluate your goals and customize a plan to achieve the beautiful smile you desire. Contact us today to schedule your appointment or consult!